Nestled along a horseshoe curve of the Monongahela River in the Mid-Monongahela Valley of southwestern Pennsylvania, Monessen was settled in the mid-1800s, though it was not formally established and named until 1898, then chartered as a city in 1923. Throughout the 20th century, Monessen was known mainly for its industry, especially steel and wire. The city served as a site for Pittsburgh Steel until the decline of the steel industry. That has not stopped the caring and determined residents of Monessen from trying to recapture the vibrant culture of the city. 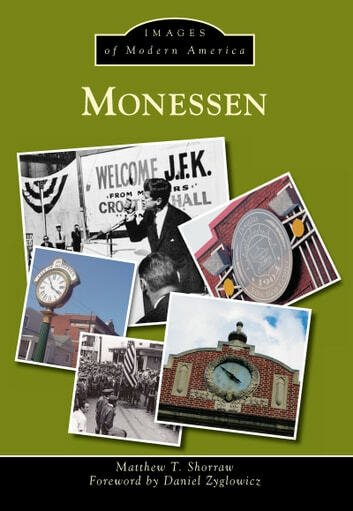 This book reflects on the history of the city through the second half of the 20th century, showcasing how current residents have led Monessen into the 21st century.